Wittgenstein had the rooms at the top of the tower during the 1930s. Of the only two sets [of rooms] which are on the top floor of the gate-way from Whewell’s Courts into Sidney Street, they were the set which looks westward over the larger Whewell’s Court, and, being so high up, they had a large view of the sky and also of Cambridge roofs, including the pinnacles of King’s College. There was a table and some chairs; a deck chair, or perhaps two deck chairs; and virtually nothing else. No pictures, no curtains and almost no books. His own writing was done in a large, foolscap-size book, bound rather like a ledger. The bareness and plainness of his room was of course mainly deliberate. It sprang, I think, from his intense dislike of any affectation or pretentiousness. It may also have been due in part to lack of money; he had given back his share in the family fortune and had, so I understand, virtually no money other than what he earned. It was certainly not due to any indifference in aesthetic matters. He had very strong aesthetic opinions, though as I remember them, they were held mainly about architecture and music (as if his mind were sensitive to form rather than colour). 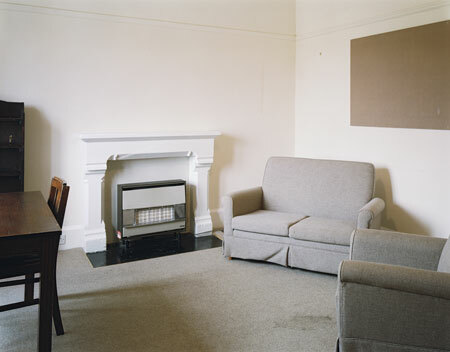 A view of Wittgenstein’s seminar room at Whewell’s as it appears today. Photos by Jessica Murray. Here is a map of Trinity College, Cambridge. elmediat on What’s in a name?